This is really cool stuff...I've considered doing something similar, but I'm pretty sure my wife would have be committed before I got too far on the project! Nice work though...cant wait to see a finished piece! 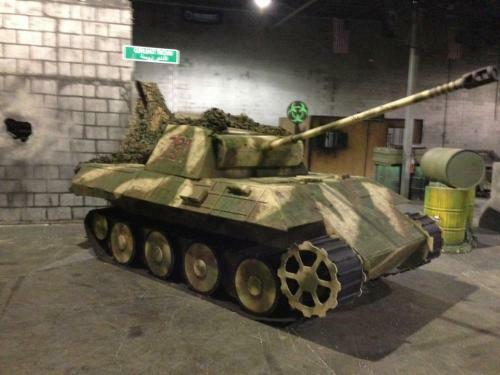 Heres a pic of the "finished" panther. Yeah..the roadwheel overleaf is backwards...on both sides!!! , I know...haha...It was a long nite...Ill fix it later. They threw some camo net over the thing to link it to the building or something..Ill post more pics when I can reduce them.